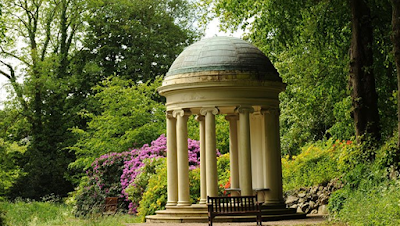 LADY ALICE'S TEMPLE, Hillsborough Castle, County Down, stands most elegantly in the castle grounds. This exquisite, neo-classical temple was built about 1880. 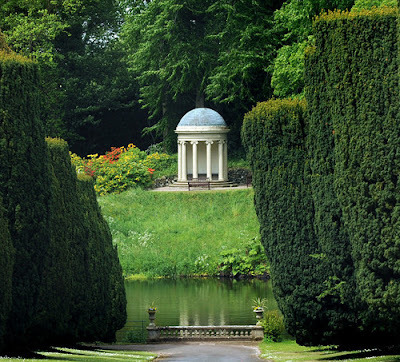 It was said to be inspired by Sir John Vanbrugh’s creation of a temple garden at Castle Howard, Yorkshire, in the early 18th century. Garden temples had become fashionable during this era. The temple was built using masonry and cast-iron. The copper-cladding is likely a replacement; the structure, however, seems to retain mainly original materials. It affords a picturesque focal point at the end of the Yew Walk to the east, and the Lime Walk to the north. 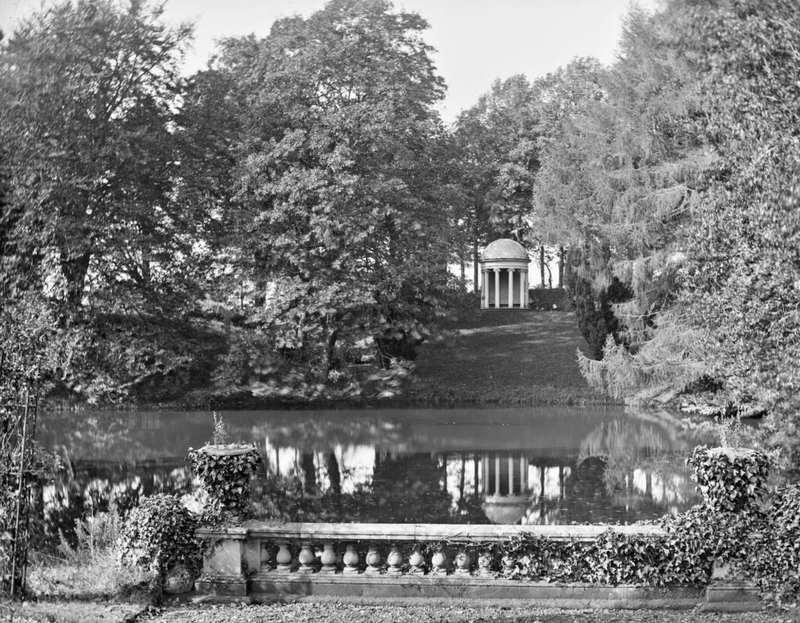 Lady Alice's Temple replaced a summer-house which occupied the same site. The Lady Alice Maria Hill (Countess of Bective) was the sister of the 5th Marquess of Downshire and Lord Arthur Hill, who lived at Hillsborough Castle in the last quarter of the 19th century during the 6th Marquess's minority. Many garden temples were designed as seats to provide shade, shelter and a fine prospect of the grounds. Moreover, Lady Alice’s Temple provides a focal point at the end of the striking Yew Walk, which approaches it. THE bishopric of Kilmore was established in the 13th century, and in the 15th century changed its ancient name of Breffny into that of Kilmore. It lies parallel to, and south of the diocese of Clogher, extending fifty-eight miles in length and between ten and twenty in breadth, through four counties, viz. Cavan, Leitrim, Meath, and Fermanagh in Northern Ireland. 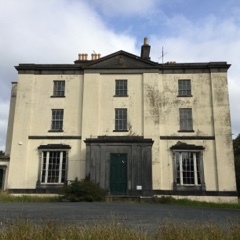 The See House, Kilmore, County Cavan, was built by the Right Rev George de la Poer Beresford, Lord Bishop of Kilmore, 1802-39, and of Kilmore and Ardagh, 1839-41. It was occupied by a further sixteen prelates. It is believed that the last bishop to reside at the palace was the Right Rev Michael Mayes, Bishop of Kilmore, Elphin and Ardagh from 1993-2000. A new see house was built at a different location closer to the cathedral and parish hall in 2013. 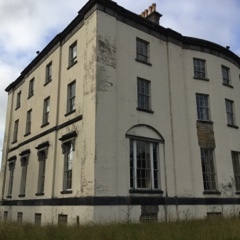 THE SEE HOUSE, Kilmore, County Cavan, is a Grecian-Revival mansion of three storeys over a basement. It was built between 1835-7. This former episcopal palace, attributed to William Farrell, comprises a three-bay entrance front. There is an irregular five-bay rear elevation with pilasters flanking wide east bay, and a shallow bow to central bays. The roof is concealed by a parapet. The house is rendered over squared rubble stone walls. An ashlar pediment, and tympanum with episcopal coat-of-arms. The ashlar portico has paired Doric pilasters. This is an impressive classical-revival house in an austere Grecian style. The former bishop's palace is substantially intact, retaining its original character and form, and its setting on a wooded hill surrounded by meadow, near the Cathedral. The architectural form of the house is enriched by many original features and materials, such as cut stone details, timber sashes with historic glass, and panelled doors. The old see house has a long ecclesiastical association, having replaced an earlier episcopal palace to the north of the former cathedral and the later 19th-century Kilmore Cathedral. The old see house forms the centrepiece of an architectural group consisting of fine outbuildings, gate lodge, and entrance gates, and forms part of the significant ecclesiastical complex of Kilmore Cathedral, the old Cathedral, and nearby graveyard. First published in September, 2015. THOMAS BATESON, who resided upon his family estates in Garstang, Lancashire. He died in 1603, leaving two sons, Robert and Gilbert, and a daughter, Margaret. Richard, ancestor of the BATESON-HARVEY BARONETS. 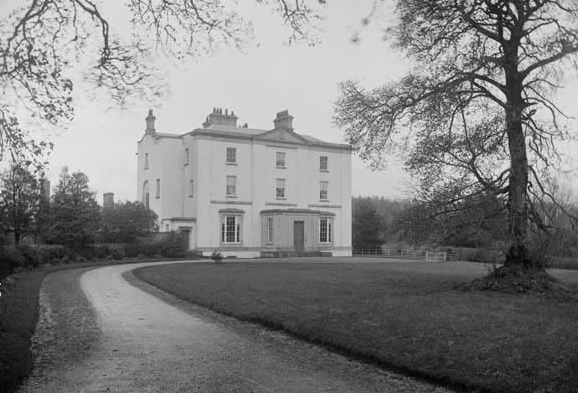 THOMAS BATESON (1705-91) succeeded his father in the Lancashire estates, but disposing soon afterwards of those, he removed to Ulster, and settled at Orangefield House, Knockbreda, County Down. He also purchased the Salters' Estate, Magherafelt, County Londonderry, and Moira Demesne. Thomas Bateson was a partner in the firm Mussenden, Bateson and Company, wine merchants, in Winecellar Court, Belfast, with trading links to the West Indies. His firm imported wine and rum. Benn (1880) also notes that, in 1752, Bateson was one of three founding partners of Belfast’s first bank, Mussenden, Adair and Bateson. Like many successful merchants, he invested in land, acquiring property at Magherafelt and Moira. Bateson acquired a leasehold interest in Orangefield, in the parish of Knockbreda, for the term of twenty-one years, where he lived. Frances, m in 1805, Hans Mark Hamill, of Co Down. ROBERT BATESON (1782-1863), of Belvoir Park and Moira Park, both in County Down, who succeeded to the family estates at the demise of his father, in 1811. 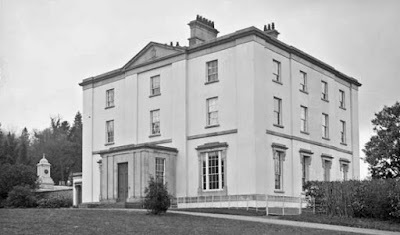 Mr Bateson was created a baronet in 1818, denominated of Belvoir Park, County Down. 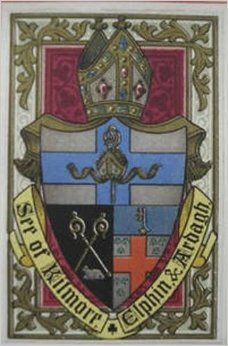 Kathleen Mary, m to W A Farquhar. Sir Thomas was elevated to the peerage, in 1885, by the title of BARON DERAMORE, of Belvoir, County Down. 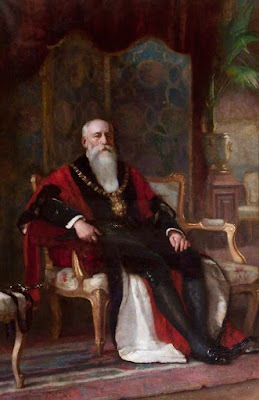 GEORGE WILLIAM, 2nd Baron (1823-93), who married Mary Elizabeth, daughter and heiress of George John de Yarburgh, of Heslington Hall, Yorkshire, and assumed in 1876, by Royal licence, the additional surname of DE YARBURGH. His lordship assumed, in 1892, the surname of BATESON after, instead of before, that of DE YARBURGH. He married secondly, in 1907, Blanche Violet, eldest daughter of Colonel Philip Saltmarshe, of Daresbury House, Yorkshire. THE HON ANNE KATHERINE DE YARBURGH-BATESON, who married, in 1982, Jonathan Henry Maconchy Peel, of Buckinghamshire, and has issue. The titles expired following the death of the 6th Baron in 2006. I have written about Belvoir House and Moira Castle elsewhere on this blog. 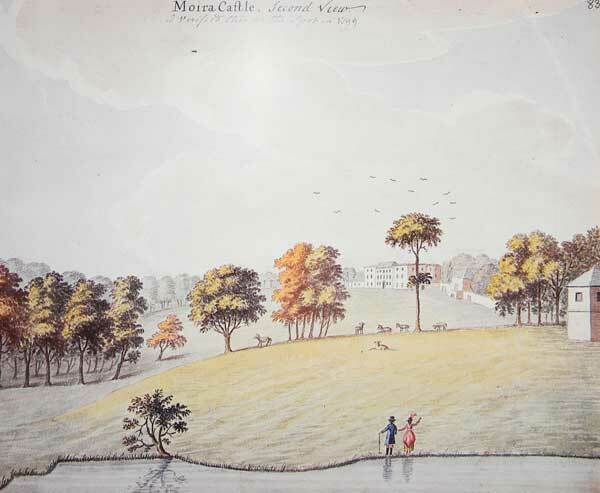 In 1800, the Moira Demesne was purchased by the family of Sir Robert Bateson. Bateson was MP for County Londonderry. Since the Batsons resided at Belvoir, it is likely that Moira Castle was a ruin by this time. The Bateson family built Moira's Market House in 1810 and their crest (top) is prominent on the building. The Salters' Company's Irish estate, also known as the 'Manor of Sal', was originally granted in 1618. 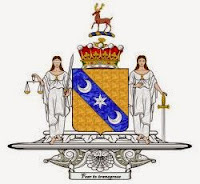 It consisted of 23,250 acres (55 townlands) bordered in the east by Lough Neagh, in the south by County Tyrone, and in the north and west by the lands of the Vintners' and the Drapers' Companies respectively. It was the most densely forested of all the proportions. In 1744, the lease was bought by the Belfast merchant, Thomas Bateson, who hoped to foster the spread of the linen industry throughout the Magherafelt area. The tide of emigration to America coupled with the fact that he was unable to grant long leases to tenants, however, meant that these plans were never completely fulfilled. After 1786, Bateson held the lease in partnership with Robert Stewart (later Lord Londonderry), and together they initiated various improvements to the estate including the drainage of land and the construction of new public buildings. The Batesons' main family seat became Belvoir Park, Newtownbreda, in County Down, having moved from the neighbouring Orangefield demesne. Robert Bateson paid £39,000 for the property in 1811, equivalent to almost £2.4 million in today's money. Prior to this they had resided at Orangefield House, also near Belfast. 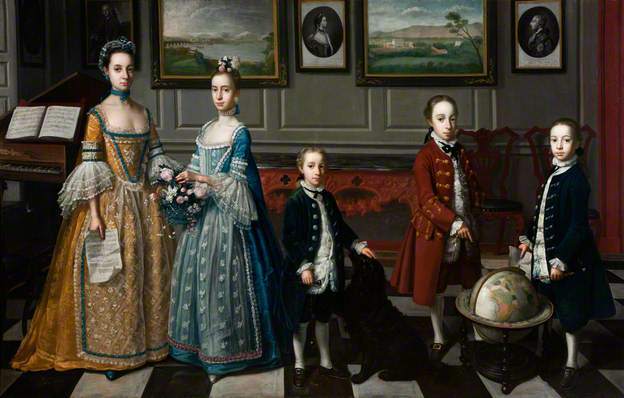 There is an oil-painting of the Bateson family posing in their drawing-room at Orangefield House in the Ulster Museum. The family association with Belvoir remained from ca 1811 until the 1st Baron's death in 1890 by which time the de Yarburgh-Batesons had removed to Heslington Hall. In 1876 the Belvoir Estate comprised 6,348 acres. This family paternally descends from that of BURY, Earl of Charleville, extinct, and is now the male representative of that family. JOHN BURY, nephew of WILLIAM BURY, the grandfather of the 1st Earl of Charleville of the second creation, assumed the surname of PALLISER, upon succeeding to the estates of his maternal grandmother. Jane, mother of JOHN BURY PALLISER. WILLIAM PALLISER (1695-1768), of Rathfarnham, who married, in 1728, Mary, daughter of Matthew Pennefather, of Cashel, Comptroller and Accountant-General for Ireland, and sister of Elizabeth, wife of Alexander, 5th Earl of Antrim, by whom he had no issue. JOHN PALLISER (formerly BURY), of Comeragh, County Waterford, who assumed the name of PALLISER, and wedded, in 1762, a daughter of Richard Taylor, of Cork. ANNESTOWN HOUSE, Annestown, County Waterford, has been a seat of the Palliser family and their descendants since about 1830. This is a rambling, three-storey house, at right-angles to the street in the village of Annestown. It is actually two houses joined together. The main front faces the sea, though the gable end is on the street. The rooms have low ceilings, though they are commodious. The long drawing-room is divided by an arch with plain Victorian plasterwork; while a large library is approached along a passage. 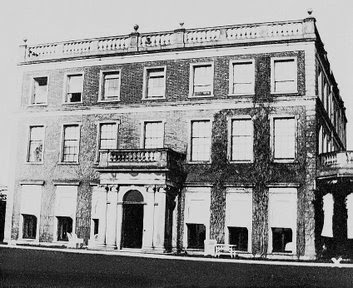 Annestown House was owned at the beginning of the 19th century by Henry St George Cole; bought about 1830 by the Pallisers, from whom it was inherited by the Galloways. It remained with the Galloway family until 2008. 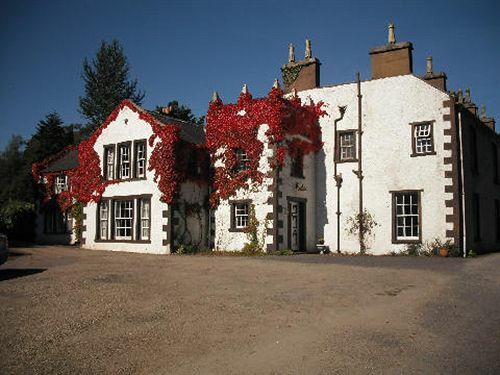 COMERAGH HOUSE (above) was another seat of the Pallisers; as was Blervie, Morayshire. First published in June, 2013. ROBERT ANDERSON JP (1837-1921), son of James Anderson, of Corbofin, County Monaghan, married, in 1890, Wilhelmina, daughter of the Rev Andrew Long, of Monreagh, County Donegal. Mr Anderson was a JP for County Antrim and for the city of Belfast, High Sheriff, 1903, and Lord Mayor, 1908-09; High Sheriff of County Monaghan, 1911. He was created a baronet in 1911, denominated of Parkmount, City of Belfast, and of Mullaghmore, County Monaghan. 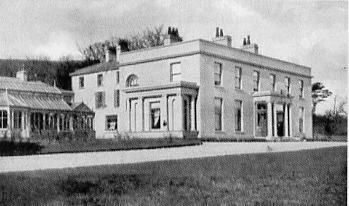 The Andersons lived at Parkmount House, Greencastle, County Antrim, which Sir Robert purchased from the McNeill family in 1905. In 1666 Parkmount was a lodge or occasional residence of Lord Donegall, and it afterwards passed into possession of the Ludford, Cairns and McNeill families. Sir Robert also had a home at Mullaghmore House, County Monaghan; and Meadowlands, Balmoral, Belfast. 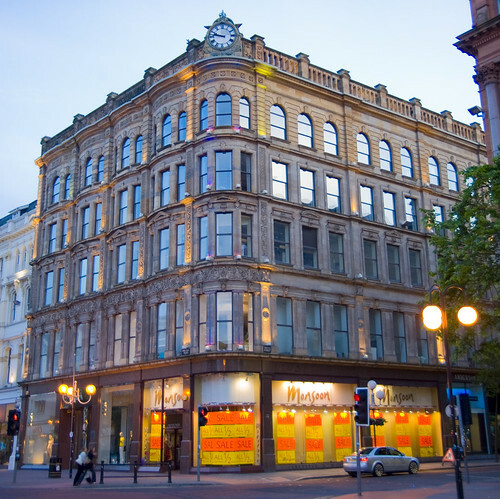 Sir Robert was the proprietor of Anderson & McAuley, a well-known department store at Donegall Place, Belfast. He was also a director of several other companies, including Arnott's. IN 1861, two brothers, Robert and Alexander Anderson, went into partnership with John McAuley and established a shop at the corner of Donegall Place and Castle Street. However, the first firm did not prosper, the partnership between the brothers dissolved, and McAuley died in 1888. Robert Anderson continued in the retail business, assisted by George Williams of Hitchcock, Williams and Company, London. By 1895, the firm had become so successful that it moved to a larger, purpose built store. Anderson and McAuley prided itself on a family atmosphere with a business-like approach. It claimed that the secret of its success was ‘courtesy and honest value’. Male employees were told that ‘long hair and dirty nails keep many men unemployed.’ In 1953, the first female member of staff was allowed to remain with the company after her marriage. In 1956, the store was one of the first in Northern Ireland to install escalators and people visited the store just to see and experience them. For over a century, shares in the store were held by members of the Anderson family. After Sir Robert’s death in 1921, his nephew James became managing director. His place was taken by Lady Anderson until her death in 1949; then filled by W H Anderson Esq. In 1979, Anderson and McAuley was one of 200 members of the Association of Independent Stores. It had 374 staff and several stores within the store, including concession departments such as The Ormeau Coffee Shop, Revlon, Windsmoor, Slumberdown, the Minit Heel Bar, and Christy’s towel shop. After a lengthy market research programme, a major expansion of the store took place in 1989. Customers had criticised Anderson and McAuley’s for being ‘too claustrophobic’. Floor space was increased by 20,000 square feet and six new escalators served every floor. However, the expected raise in sales did not materialise, while high interest rates on the borrowed money for the expansion contributed to the company’s financial difficulties. Competition from Marks and Spencer, Debenhams and out of town shopping centres ate into the store’s sales. In March, 1994, the last survivor of Belfast’s family owned businesses finally closed its doors. Some 300 members of staff lost their jobs and its valuable stockpile of fixtures and fittings were auctioned. The closure was seen as marking the end of an era in Belfast’s shopping culture. Today the premises is known as McAuley House and is used by Clarks, The Disney Store, Monsoon and Zara. Following Sir Robert's death in 1921, the baronetcy became extinct. Sir Robert and Lady Anderson are both buried at Belfast City Cemetery. First published in August, 2010. HUGH HAMILTON settled at Lisbane, County Down, during the reign of JAMES I, and was made a denizen of Ireland in 1616. Jane, m William Sloane, of Chelsea. ALEXANDER HAMILTON, of Knock, County Dublin, and of Newtownhamilton, County Armagh, MP for Killyleagh, 1730-61, who espoused Isabella, daughter of Robert Maxwell, of Finnebrogue, County Down, by Jane, daughter of the Rev Simon Chichester, Vicar of Belfast (eldest son of Henry Chichester, of Marwood, by Jane, daughter of the Rt Rev Robert Maxwell, Lord Bishop of Kilmore). Hester Maria; Harriet Anne; Sophia Elizabeth; Anne Matilda. Olivia Harriet Florence Hamilton; Eleanor Frances Beatrice Hamilton. He wedded secondly, in 1885, Georgina Alice Mary, youngest daughter of George Power, sixth son of Sir John Power Bt, of Kilfane, County Kilkenny, and had issue, a daughter, Margery. MAJOR SEWELL, who espoused Miss Stubber, an heiress, and assumed the name and arms of STUBBER. ELEANOR STUBBER, wedded, in 1801, the Rev Alexander Chetwood Hamilton, Rector of Thomastown, County Kilkenny, elder son of Robert Hamilton, of Dublin, by his wife, a daughter of the Chetwood family, and grandson of Alexander Hamilton, of Knock, County Dublin. Hester Maria; Harriet Anne; Sophia Elizabeth; Anna Matilda. Olivia Harriet Florence Hamilton; Eleanor Fanny Beatrix Hamilton. THOMAS SCOTT, a captain in the army of WILLIAM III, fell in the field, charging the enemy at the head of his troops. JOHN SCOTT (1739-98), who, being bred to the bar, arrived at the high legal offices of Solicitor-General, Attorney-General, and Prime Sergeant-at-Law of Ireland, 1774-83. In 1784, he was appointed Lord Chief Justice of the Court of King's Bench; and in the same year was elevated to the peerage as Baron Earlsfort. His lordship was advanced to a viscountcy, 1789, as Viscount Clonmell; and further advanced, in 1793, to the dignity of an earldom, as EARL OF CLONMELL. He married firstly, in 1768, Catharine Anna Maria, daughter of Thomas Mathew, of Thomastown Castle, County Tipperary, and sister of the 1st Earl of Landaff, by whom he had an only son, who died in infancy. Charlotte, m 3rd Earl Beauchamp. Frances Mary; Sophia Louisa; Augusta Anne; Georgiana Gertrude. THOMAS CHARLES, 5th Earl (1840-96), who married, in 1875, Agnes Arabella, daughter of Robert Godfrey Day. DUDLEY ALEXANDER CHARLES, 8th Earl (1853-1935), whose marriage was without issue. On his death, at Tunbridge Wells, Kent, the titles became extinct. BISHOPSCOURT, Straffan, County Kildare, is a large classical house built ca 1780-90 for the Rt Hon John Ponsonby, Speaker of the Irish House of Commons. It has a four-bay entrance front with a pedimented portico of four huge Ionic columns. The outer bays have pedimented gorund-floor windows and circular plaques instead of windows in the upper storey. The side elevation has a recessed centre and three-bay projection at either side, joined by a veranda of slender columns with a iron balcony. There is a curved bow on either side of the House; and an imperial staircase. In 1838, Bishopscourt was sold by Frederick Ponsonby to John, 3rd Earl of Clonmell. In 1914, the house was sold on to Edward Kennedy from Baronrath, at the time the most famous breeder of racehorses in Ireland. Kennedy’s stallion The Tetrarch, standing at Bishopscourt, is confirmed as the most successful sire in the world in 1919. In 1938, Bishopscourt passed to Edward’s daughter Patricia (Tiggie) Kennedy and her husband, Dermot McGillycuddy, heir to Senator McGillycuddy of the Reeks, an ancient clan chiefdom from County Kerry. Edward Kennedy's son, Major D M (John) Kennedy, won a Military Cross at Anzio whilst serving with 1st Battalion Irish Guards and was later killed at Terporten Castle in Germany in February 1945. Bishopscourt House is now home to the Farrell family. The 3rd Earl held land in the parish of Doon, barony of Coonagh, County Limerick, in the mid 19th century. His county Tipperary estate was located in the parishes of Newcastle, barony of Iffa and Offa West, Carrick, Kilmurry, Kilsheelan, barony of Iffa and Offa East, Ballingarry, Cloneen, Crohane, Fennor, Kilcooly and Lismalin, barony of Slievardagh, Knockgraffon, barony of Middlethird, Glenkeen, barony of Kilnamanagh Upper, Inch, barony of Eliogarty. Former seat ~ Eathorpe Hall, Warwickshire. Former town residence ~ 41 Upper Brook Street, London. First published in June, 2013. Clonmell arms courtesy of European Heraldry. SAMUEL, of whom we treat. SAMUEL GALBRAITH, of Clanabogan and Riverstown, County Tyrone, and of Crowdrumin, County Longford, who succeeded to the entailed estates of his uncle, Arthur Lowry Galbraith, in 1819, and to those of his mother in 1832. Mr Galbraith was a Magistrate and High Sheriff of County Tyrone, 1833, and County Longford, 1840. JOHN SAMUEL GALBRAITH JP DL (1828-1903), of Clanabogan and Riverstown, and Crowdrumin, High Sheriff of County Longford, 1874, and of Tyrone, 1875. SAMUEL HAROLD LYLE GALBRAITH (1876-1922), of Clanabogan, Captain, Royal Irish Regiment. CLANABOGAN HOUSE, near Omagh, County Tyrone, is a two-storey, three-bay, 18th-century rendered house, built ca 1750, developed during the 19th century and largely remodelled in the early 20th century. It is asymmetrical, with Georgian detailing that has an elaborate spatial arrangement indicative of the differing periods of ownership and occupation. Clanabogan is well preserved in its various phases. It remains a fine example of an evolved eighteenth century residence. ‘... a typical gentleman’s estate in mid Victorian Ulster, created by Samuel Galbraith Esquire, with house, family church for a specially created curacy , and a modern rectory ... large, plain double pile house... mid-18th century ... inherited by Samuel Galbraith from his uncle in 1819." The main double-pile block has thick internal wall construction and its proportions are indicative of a mid-18th century date. There is evidence of at least two distinct periods of remodelling. The plasterwork in the parlour appears to be Victorian in character; while the oak staircase is of early 20th-century appearance. It is thought that major remodelling occurred in the early 20th century. 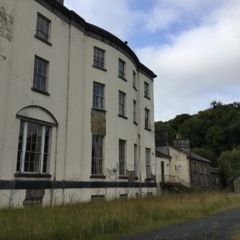 The present owner, who purchased Clanabogan in 1994, believes that part of the house was occupied by evacuated families during the 2nd World War, hence the division of the house, with separate stairwells leading to the first floor. Clanabogan was converted to bed & breakfast accommodation in 2002. JOHN VANE, who wedded Isabel, daughter and co-heir of Martin St Owen. JOHN VANE, of Hilden, who, in the reign of HENRY VI, had a grant of the manor of Hadlow, in Kent. This John Vane, senior, appears the first to have changed his name to FANE, for thus he writes himself in his will, bearing date, 1488. HENRY FANE (c1521-80), of Hadlow, who was involved in Sir Thomas Wyatt's insurrection, and committed to the Tower; but, owing to his youth, experienced the royal clemency. He subsequently represented Winchelsea in Parliament, and and became an eloquent and distinguished politician. HENRY FANE (1560-96), of Hadlow, who espoused firstly, Mary, only daughter and heir of Thomas Fane, but by her had no issue. SIR HENRY (who resumed the original surname of his ancestors) VANE (1589-1655), of Raby Castle, County Durham, his main residence. This gentleman was a distinguished politician, and stood high in the favour of JAMES I and CHARLES I. SIR CHRISTOPHER VANE (1653-1723), who was elevated to the peerage, in 1699, as Baron Barnard, of Barnard Castle. William, cr Baron Duncannon and Viscount Vane. 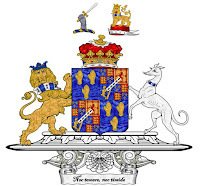 His lordship having filled some high official employments, was created, in 1754, Viscount Barnard and Earl of Darlington. HENRY, 2nd Earl (1726-92), who espoused, in 1757, Margaret, sister of James, 1st Earl of Lonsdale, by whom he had WILLIAM HENRY, his successor, and two daughters who both died young. His lordship was Lord-Lieutenant and Vice-Admiral of the County Palatine of Durham, Master of the Jewel Office, and Governor of Carlisle. He was an alderman of the city of Durham, and Colonel of the Durham Militia. WILLIAM HENRY, 3rd Earl (1766-1842); Lord-Lieutenant and Vice-Admiral of Durham, and Colonel of the Durham Militia. His lordship was created Marquess of Cleveland in 1827; and advanced to the dignity of a dukedom, in 1833, as DUKE OF CLEVELAND. Louisa Catherine Barbara; Augusta Henrietta; Laura; Arabella. The 1st Duke married secondly, in 1813, Elizabeth, daughter of Robert Russell, of Newton House, Yorkshire. WILLIAM JOHN FREDERICK, 3rd Duke (1792-1864), who espoused, in 1815, Grace Caroline, daughter of William, 1st Earl of Lonsdale, though the marriage was without issue. HENRY GEORGE, 4th Duke (1803-91), KG, who married, in 1854, Wilhelmina, Lady Dalmeny, daughter of Philip Henry, 4th Earl of Stanhope, though the marriage was without issue. 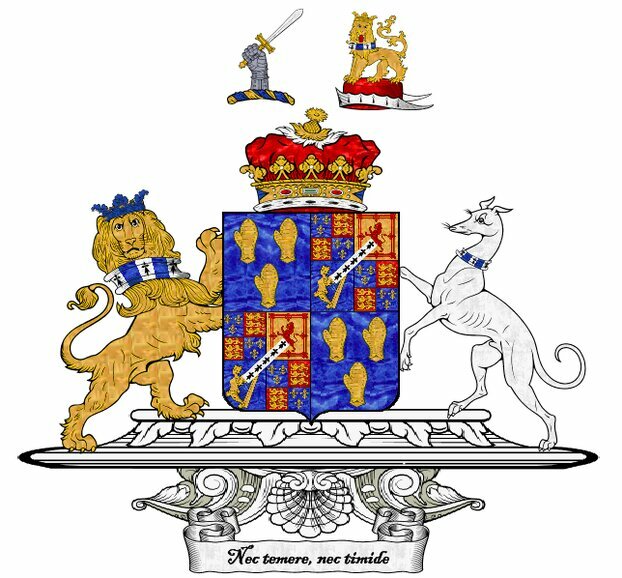 Following the decease of the 4th Duke, the barony of Barnard passed to his kinsman, Henry de Vere Vane, who succeeded as 9th Baron Barnard. Former seats ~ Raby Castle, County Durham; Bridges Cottons, Darlington; Newton House, Yorkshire. Former town residence ~ Cleveland House, London. 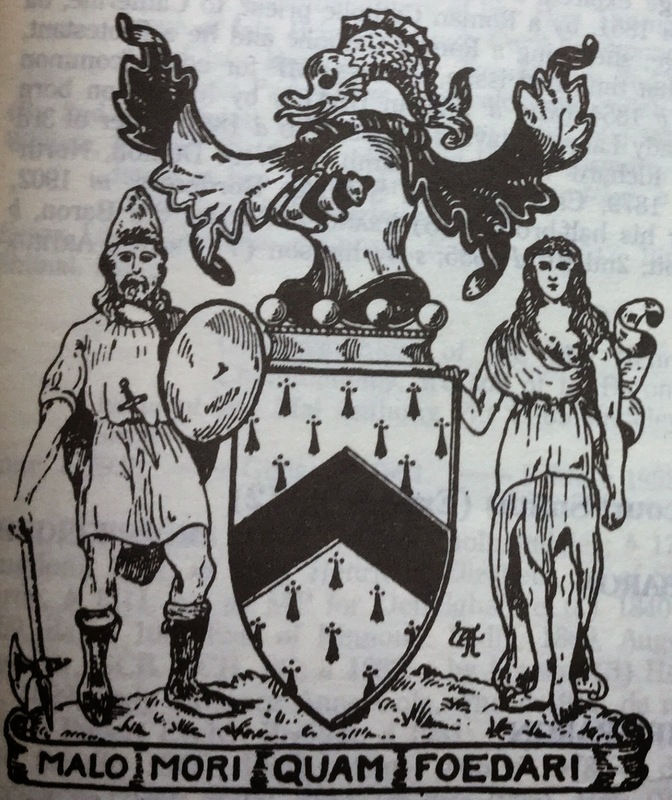 Cleveland arms courtesy of European Heraldry. It must be about four years since I last visited Rathlin Island, Northern Ireland's only inhabited off-shore island. I have always stayed at the Manor House, former home of Rathlin's landlords, the Gages. Two ferries - one fast and one slower - sail regularly from the nearest town, Ballycastle in County Antrim. The fast (passenger-only) ferry takes no more than twenty-five minutes to sail to the island. My return ticket cost £12. I arrived at about 10am on Tuesday, checked in early, unpacked and had a brief stroll round Church Bay before a good lunch comprising potato and leek soup in the Manor House, where I stayed for three nights. I actually stayed in Room Nine, a small single room directly above what used to be the snug bar (The Auld Kitchen). The Manor House closed down a couple of years ago for major renovation work so, subsequently, The Auld Kitchen was not replaced. The new interior is hard to recognize if you recall the original one: partition walls have been rearranged and fresh, new, contemporary decor - all "mod-cons". The general colour scheme seems to be painted in a kind of subtle pastel green. My room had a oculus window and, in fact, there's another oculus window at the opposite end, too. That evening I enjoyed a good dinner in the main restaurant comprising a lythe (pollack) with whole potatoes and kale; followed by pavlova. On Wednesday at 8am I had a fine cooked breakfast: two pork sausages, two lean rashers, potato-bread, soda-bread, cherry tomatoes, mushrooms, baked beans, tea and toast. After breakfast I walked to Soerneog View hostel, where I hired a cycle for the day (£10) and rode westwards to the RSPB Seabird Centre and the West Lighthouse. The journey takes about five miles from Church Bay. I was rather glad to reach my destination for, although cycling is a good means of seeing the island, the terrain is uneven to the extent that it was easier for me to dismount occasionally and walk up several steep sections. The benefit, however, is that one can freewheel down! The RSPB centre looks brand-new and they have a seating area with refreshments for sale. The West Lighthouse now has an interesting exhibition and most of the keepers' rooms are open. It cost £400,000 to build in 1912: that is an astounding £42 million in today's money! Of course it's been fully automatic since the 1980s, I think. Reinvigorated and fortified with a chilled drink, I mounted the bike and rode back to Church Bay and on towards the southern Rue Lighthouse and lovely Ushet Port. Ushet was used almost 200 years ago by smugglers; their ruinous building still stands, as does the adjacent coastguard house. It sounds a bit incongruous, doesn't it? Apparently the smugglers' house used to be a kelp store. There were over a dozen seals at Ushet warily watching me. Thence I cycled northwards, towards the East Lighthouse which is closed to the general public. I left my bike back later in the afternoon. I was certainly fortunate with the weather, managing to avoid the rain. The Manor House has a little bar at Reception and this is where I installed myself during the evening before and after dinner. It's a convivial place where I encountered and struck up conversations with residents and guests. There's a fine marble fireplace and the fire was lit in the evenings. 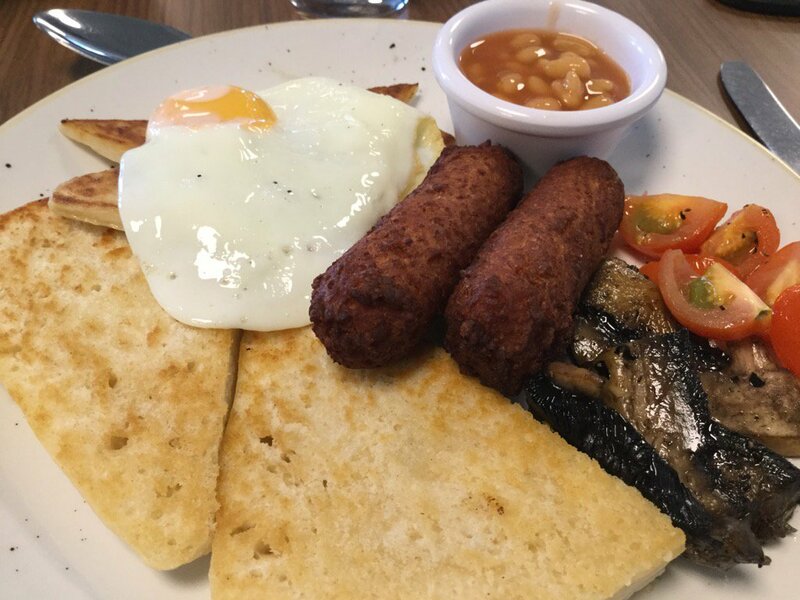 On Thursday morning, I opted for the veggie fry (below); thence walked to the National Trust's Ballyconaghan townland. This walk terminates at a disused 1941 coastguard look-out on the north coast of the island. En route, one passes a little cluster of cottages, or a clachan, called Crocknanagh. This consists of four or five old, ruinous cottages forming what would have been a tight-knit community - probably all related in some way or other. There are many ruined clachans and cottages on Rathlin: its population numbered 1,200 two hundred years ago; whereas today it's closer to 150. Incidentally, Rathlin's resident population appears to be increasing: today it's closer to 150 and as I write the schoolhouse is being extended. I was informed that there are now 9 pupils attending the school. 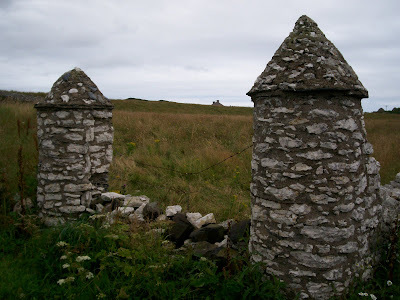 Rathlin still has many traditional, vernacular stone gate-posts. By the way, I discovered a great little café called The Watershed. It's located between the Manor House and St Thomas's Church, adjacent to the large vehicle ferry slipway. They have a small menu and everything is home-made and delicious. I dined at the Manor House again on Thursday evening: crab cocktail and risotto. Remember to bring plenty of cash to Rathlin. I was down to my last few banknotes! Of course most establishments accept credit and debit cards. There is an ATM machine at McCuaig's Bar which, I think, charges a small fee for the service. How, on earth, did the islanders cope in the past? Stuffed it under the mattress, I imagine; or bartered a sheep for a supply of milk! I think I'll bring along my Swiss hiking boots next time, for although the terrain was mainly dry, some of it was waterlogged. I had an absolutely terrific time on Rathlin and felt at home in the Manor House, where the crack is good, the company convivial; the staff very hospitable and friendly; and standards high. First published in September, 2013. The family of FRENCH, originally DE FREIGNE, or De Fraxinis, is of great antiquity, and was established in England by one of the companions in arms of WILLIAM THE CONQUEROR. In 1254, Will de Fraxinis was sent ambassador from HENRY III to Pope INNOCENT IV. SIR HERBERT or HUMPHREY DE FREYNE, who accompanied Strongbow in his expedition against Ireland, acquired large possessions in the province of Leinster, and settled in Ballymacoonoge, County Wexford. He had two sons, Patrick and Nicholas, whose descendants gained early distinction, and ranked amongst the most powerful of the Anglo-Norman barons. Fulke de Freyne, the descendant of Sir Humphrey, settled his manor of Ballymacoonoge, with remainder to his heirs, with various other remainders, in 1329. He was succeeded by his eldest son, Sir Patrick, who died without male issue, leaving two daughters; the eldest, Ellen, with whom the moiety of the said manor went out of the family to her husband, Richard de Camelford. JAMES FFRENCH, was chosen to represent Wexford in the parliament of Westminster, in 1376. PATRICK FRENCH, who was sent as a judge into Connaught. JOHN FRENCH, of Galway, born in 1489, a man great wealth and unbounded liberality and a great benefactor of the Church. JOHN FRENCH, of Galway, born in 1489, a man of great wealth and unbounded liberality, and a munificent benefactor to the Church. It is stated in the annals of Galway that he built, at his own expense, the north aisle of St Nicholas' Church, in that town, from the north pinnacle of the chapel of the Holy Sacrament; and also the great chapel on the south side of St Francis's Abbey, with the building which stands on the river-side, which has ever since borne his name, and is called "John French's Chamber". In this church, the French family, with two others, are alone entitled to the right of burial. PETER FRENCH, Mayor of Galway, 1576, married Mary, sister of William Martin, and had five sons. The sum of £5,000 was expended on his monument, which adorned the church there, until destroyed in CROMWELL's time, by Colonel Stubber, then Governor of the town. The monument was executed in Italy, and is described in the annals of Galway to have been of "rayre sculpture and guilded with golde". STEPHEN FRENCH, to whom Sir Donogh O'Conor of Sligo made a device in his will, and Sir Charles O'Conor of Sligo made a grant of the lands of Rathborney, Ardueglass etc, dated 1622. PATRICK FRENCH, of Dungar, otherwise French Park, County Roscommon, whose great estates in County Sligo were seized by the Earl of Strafford, and partitioned amongst Sir Thomas Radcliffe, Sir Philip Perceval, etc. They were, however, subsequently restored by order of Parliament, but CROMWELL again dispossessed them. Mr French was buried in Elphin Cathedral, where his monument is still to be seen. JOHN FRENCH, of French Park, called Tierna More, a colonel in the army who commanded a troop in the Enniskillen Dragoons at the battle of Aughrim, and was attainted on account of his Whig principles by the parliament held by JAMES II at Dublin, 1690. 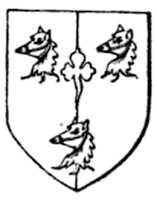 Mr French represented Carrick-on-Shannon in parliament, 1695, became Knight of the Shire for Galway in 1703, and again in 1710, and was elected for Tulsk, of which borough he was patron in 1715 and 1722. Mr French died at an advanced age in 1734, leaving £1,000 to be expended on his funeral. His body was laid in state in the park for three days and nights, and the county were feasted round it. ARTHUR FRENCH, of French Park, who was elected Knight of the Shire for Roscommon in 1721, and strongly opposed the attempt of government, in 1729, to get the supplies granted for 21 years. JOHN FRENCH MP, of French Park, who represented County Roscommon from 1743 until the time of his death in 1755, in which year he was drowned, together with his brother, Robert, on his passage from Dublin to Parkgate. He was to have been called to the house of peers as Baron Dungar. ARTHUR FRENCH, MP for County Roscommon (1728–99), Colonel of the French Park and Castlemaine Volunteers, who refused to accept the peerage promised to his brother. ARTHUR FRENCH (1786-1856), of French Park, MP for County Roscommon for several years, who was elevated to the peerage, in 1839, as BARON DE FREYNE, of Artagh, County Roscommon. (Fulke) Charles Arthur John French, 8th Baron (b 1957). The heir apparent is the present holder's son, the Hon Alexander James Charles French (b 1988). Fulke Charles Arthur John, 8th and present Baron, lives in London. FRENCH PARK, near Boyle, in County Roscommon, was formerly the ancestral seat of the Barons de Freyne. 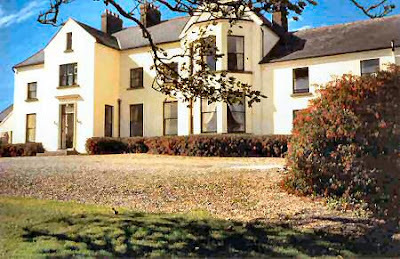 The house, originally built in the mid-17th century before being rebuilt in the Georgian style in the 18th century, was demolished after the sale of the estate by the French family to the Irish Land Commission in 1952. The Commission removed the roof of the buildings in 1953 and eventually demolished the remaining structures in ca 1975. French Park was an early Palladian winged house of red brick, of three storeys with a seven-bay centre block (above). Two-storey wings, five bays long and four deep, were joined to the main block by curved sweeps. In 1952 Lord de Freyne sold French Park. The great house and demesne had been in the French family since 5,000 acres were granted to Dominick French in 1666; prior to its dissemination during the Irish land acts, the estate comprised 36,000 acres. Having sold the estate, the de Freynes moved to Oxfordshire. The present and 8th Lord de Freyne now lives in London. The once-great mansion is now a roofless ruin. First published in July, 2011.